It has been almost two years since the grand unveiling of sculptor Bruce Little’s magnificent Dawn Patrol. 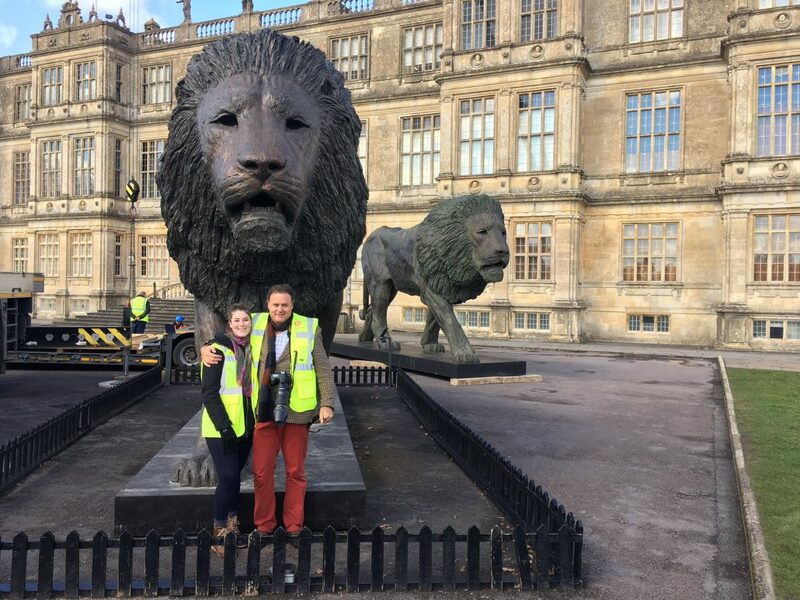 The gigantic Lion sculpture stands almost 5 metres-high and 8 metres-long and was commissioned by Ceawlin Thynn, Viscount Weymouth of the Longleat Family Estate. 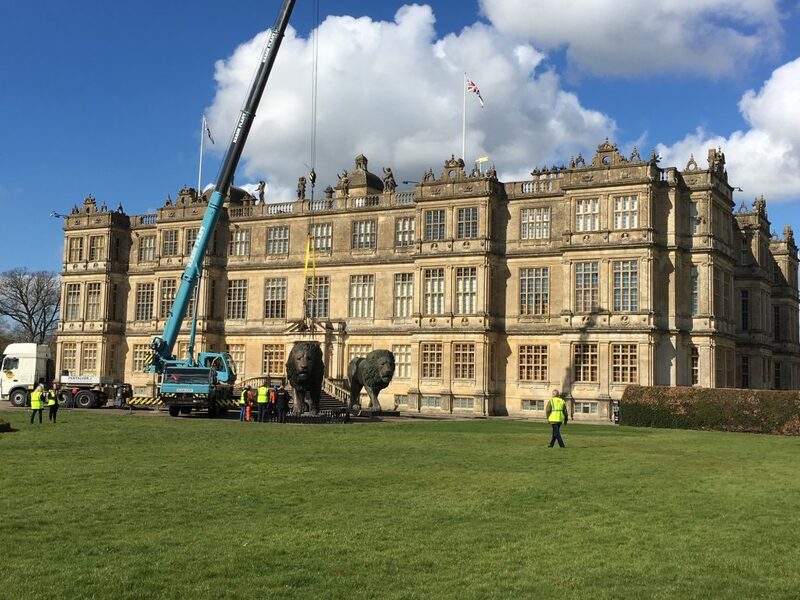 The piece was specially created to celebrate the 50th anniversary of the Longleat Safari Park. Shortly following the mammoth success of the sculpture, Little was invited to present Dawn Patrol at the Leonardo DiCaprio Foundation Gala Auction in St Tropez, France. The Foundation focuses on environmental projects, which support causes that are also close to Little’s heart. The monumental sculpture of the lion was a central piece at the auction where it achieved the astonishing bid of USD 1 Million. All proceeds were generously donated by Little to the Leonardo DiCaprio Foundation. 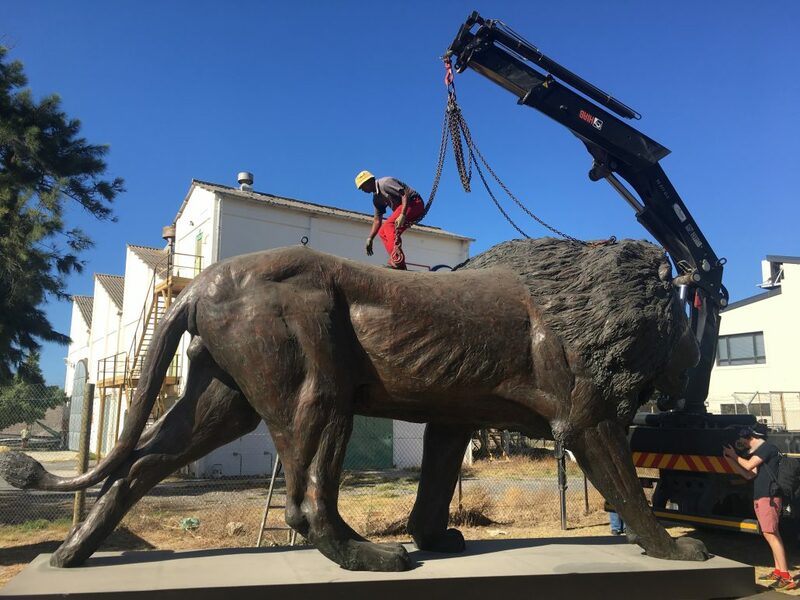 Since March 2016 when Dawn Patrol was originally revealed, Bruce has been hard at work casting the authentic and final bronze version of the lion – currently on route to England to replace the fibre-glass mould. 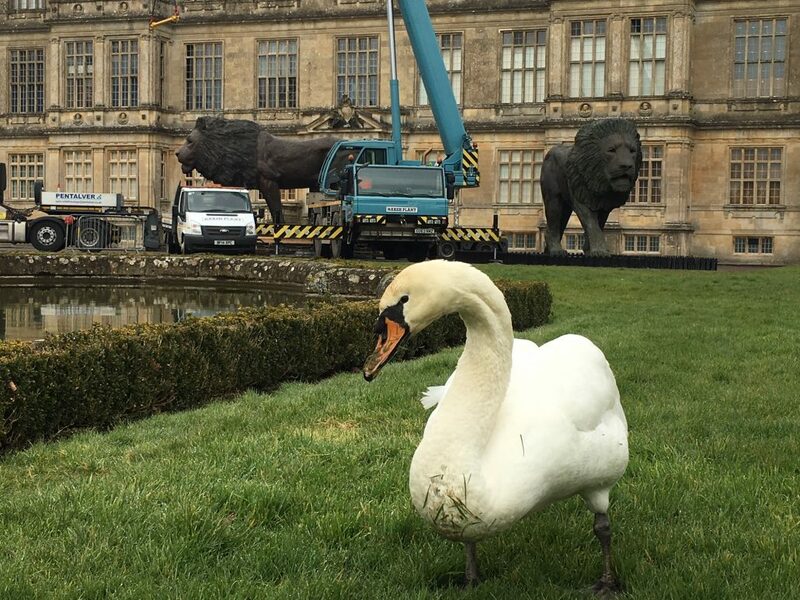 The impressive journey spans over a month, with an intimate gathering and celebration at the Longleat Safari Park once safely delivered. Little will be there to ensure the sculpture is carefully presented. Little’s work connects its viewers to both nature and the African continent in inspiring ways. The sculptor’s artworks – both small and large – allow those who have visited the remarkable continent to own their very own icon. Dawn Patrol is an international symbol and reminder for those invested in conservation and the environment. The magnificent bronze Lion embodies the qualities of true craftsmanship, to the utmost perfection. Little is loyally devoted to creating authentic African emblems, and is grounded in his love for nature, art and Africa. 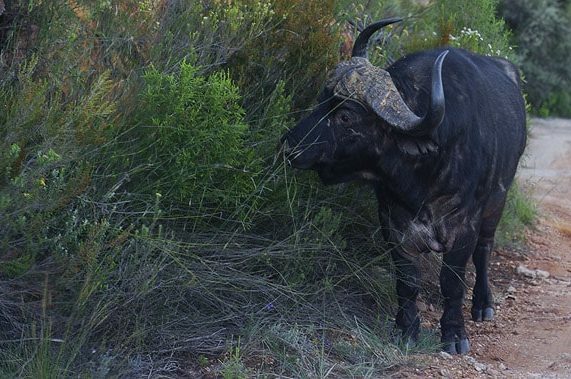 The Cape buffalo can be one of the most unpredictable and dangerous animals in the bush. I have had many encounters with this animal over the years and I have learned to treat it with respect. People say that the buffalo simply has a bad temper. As a friend of mine put it “a buffalo looks at you as if you owe it money“. 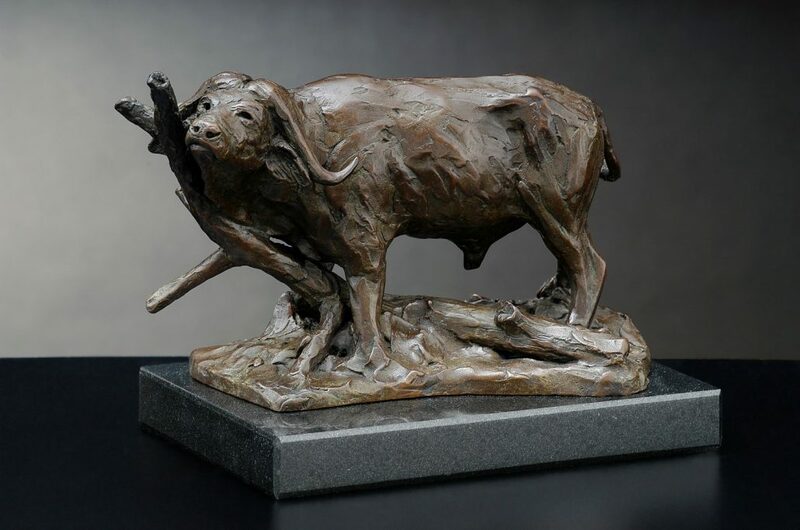 This image of the Buffalo maquette is my last sculptural encounter with the fabled buffalo. This time, however I wanted to portray the real power of this animal in life size! This image of the clay shows the twice life size sculpture in its raw form. It shows the power of the sculpture but not it’s dominating size. All will soon be revealed when it emerges from the darkness. I usually start any project with a strong instinct, a vague memory and a whole pile of references. 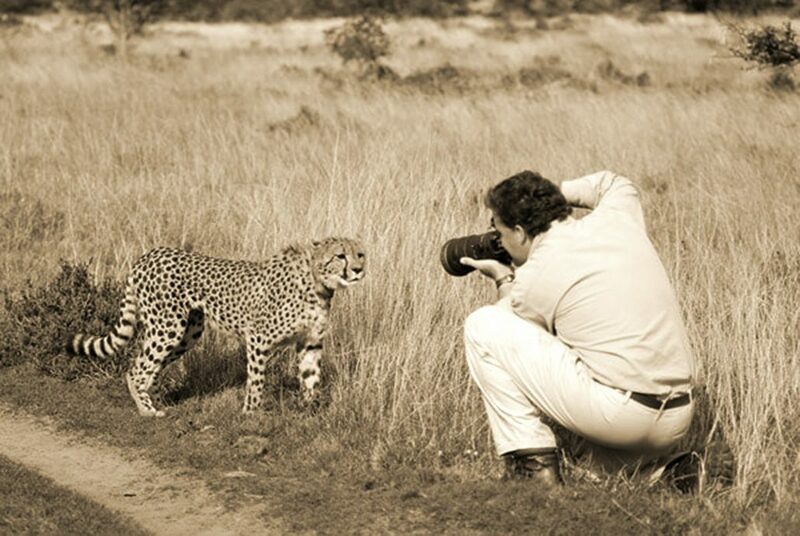 A quick recce in the bush with my camera, however can help on all sorts of levels! This cheetah was very cooperative for a while but what I really needed was some speed. 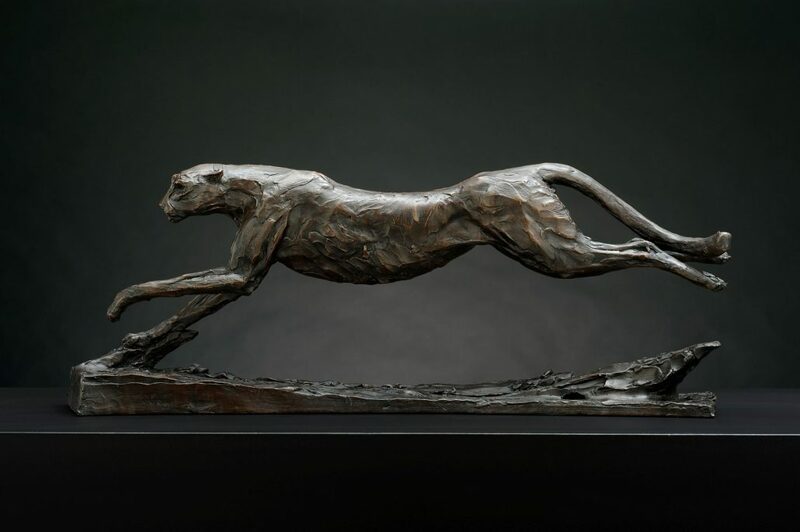 I had a concept in my mind of portraying the amazing gait of the animal in full chase as a linear sequence of sculptures. I had previously sculpted the animal fully stretched now I wanted to create the entire sequence of racing conformations. The image below shows the completed sculpture which is over a meter long.